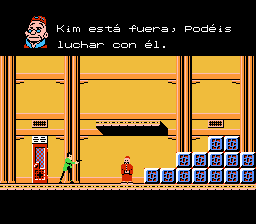 Lupin Sansei: Pandora no Isan is an action platformer game for the Nintendo Entertainment System. 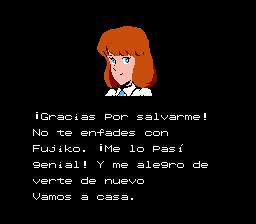 The story is a continuation of Castle of Cagliostro: Clarisse is kidnapped, and everyone races to the rescue. 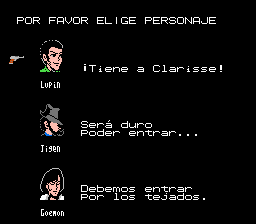 You can choose which of three characters you want to control: Lupin shoots short distances, Jigen shoots long distances, and Goemon uses his close-range sword. 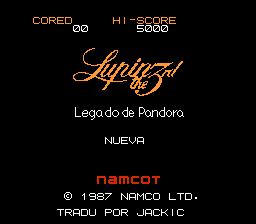 Spanish translation for Lupin Sansei: Pandora no Isan, this patch localizes, most of the text. 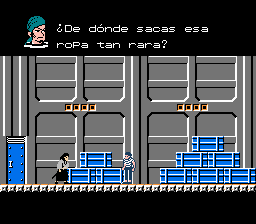 Spanish punctuation symbols, tilde and Ñ were added to the font, based on Vice Translations previous English patch.